Jethro Waters is a Writer, Director, Producer and Cinematographer. He makes his feature film debut with F/11 and Be There. Jethro’s short film, Remains is currently part of the Civil Rights museum exhibition about photography “I Am a Man” exhibiting in The Smithsonian National Museum of African American History and Culture in Washington D.C., as well as art museums in Montepellier, France, and Johannesburg, South Africa through 2018 and 2019. Jethro’s work as a filmmaker has often been published in The New York Times, The Guardian, Rolling Stone, Pitchfork, NPR, Billboard, among many other publications and media outlets. He has made a wide range of films with teams from various professions - publishing, art, academia, cinema, music, and commercial. He has made music documentaries and music videos with Angel Olsen, Natalie Prass, Eric Slick, Matthew E. White, River Whyless, and a host of other musicians and artists. David is a film-maker, artist, art collector and curator. He has been an internationally recognized collector of contemporary and vintage photographic works for over twenty five years. Numerous publications, including Art and Antiques and the Art Market Guide, have named David as a top-100 American collector. In 2008, Worth Magazine profiled his collecting habits. In 2007, the Cleveland Museum of Art acquired and was gifted a portion of his surrealist and modernist photography collection. The exhibition, Forbidden Games; Surrealist and Modernist Photography, The David Raymond Collection opened in the fall of 2014-2015 at the CMA and a catalogue was co-published by the CMA and Yale University Press. A sampling of film’s that David executive produced include; Severed Ways: The Norse Discovery of America, directed by Tony Stone, premiered at the 2007 Los Angeles Independent Film Festival and won the jury prize at the 2007 Leeds Film Festival. The Toe Tactic, directed by Emily Hubley. Graceland, directed by Ron Morales, premiered at the Tribeca Film Festival in April 2012 and was distributed theatrically in the United States in the spring of 2013. Two films by Andrew Dosunmu, Restless City(2011) and Mother of George (2013), premiered at Sundance and both were distributed theatrically. As an artist with a formal background originally in live-action film production, Cable Hardin creates content, narrative or otherwise, and creates it while experimenting with existing aesthetics, and often manipulates viewer expectations through exploitation of genre or parody. Due to his combined experience in film production and animation, specific areas in creative activity often include the combination of live-action and animated elements. Humor, playfulness, moments of frenetic energy, and the unexpected are major common elements in his work. Cable teaches animation and film studies and at South Dakota State University in Brookings, South Dakota where he also organizes film and animation exhibitions like the SoDak Animation Festival and related iterations. In an alternate universe Cable has also specialized in special effects makeup for film and tv, an area he looks to revisit when the opportunity arises. Natalie Prass is an American singer-songwriter from Richmond, Virginia. She released an EP, Small & Sweet, in 2009 and a second EP, Sense of Transcendence, in 2011. After auditioning with a video demo recorded on her iPhone, she started her career as a keyboardist for Jenny Lewis’ touring band. On January 27, 2015, Prass released her eponymous debut album on Spacebomb and Columbia Records. It was recognized as one of the Best New Albums by music review website Pitchfork. On February 26, 2018, Prass released the single, "Short Court Style". Her second album The Future and the Past was released on June 1, 2018. She is currently our tour supporting The Future and the Past. 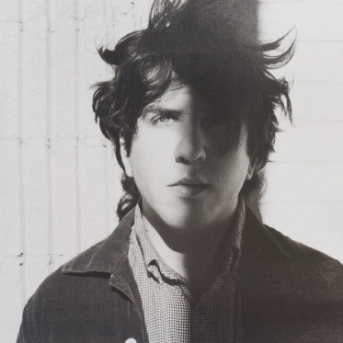 Eric Slick is an American singer, songwriter and drummer. He is the drummer of Dr. Dog, performing on their albums Shame, Shame, Be The Void (2012), B-Room (2013), The Psychedelic Swamp(2016) and Abandoned Mansion (2016). Slick released his debut solo album Palisades on April 21, 2017 to positive reviews from Consequence of Sound, Relix and Tidal, in which Greg Saunier of Deerhoof rated the album "10 out of 10 stars." Slick is a native of Philadelphia, Pennsylvania and began playing drums at age 5. Aside from Dr. Dog and solo records, Slick has also performed/recorded with Adrian Belew, Nels Cline (Wilco), Daniel Rossen (Grizzly Bear), R. Stevie Moore, Cass McCombs, and Ween.